Developer and fund manager OpenCorp plans on taking the property customisation process to the next level, offering greater involvement between buyers and the design team to deliver a home that is customised to the buyer's needs. Customisation is already an element to off-the-plan property purchase, as buying off-the-plan has become increasingly popular amongst the owner-occupier market, forcing developers to sweeten the deal. It is a deal that OpenCorp wants to take a step further, implementing their upgraded customisation process to their $34 million apartment development 'Evolve'. 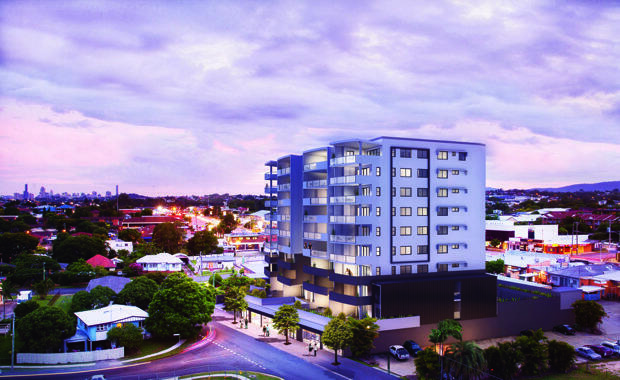 Evolve is located just nine kilometres from the Brisbane CBD in a quiet pocket of Chermside. It is two minutes from Westfield Chermside and in close proximity to boutique pubs, restaurants and al fresco cafes; a location highly desirable by the owner-occupier market for the lifestyle it delivers. Designed by Tonic Architects, the 10-storey premium development due for completion by the end of this year will deliver 72 oversized apartments. 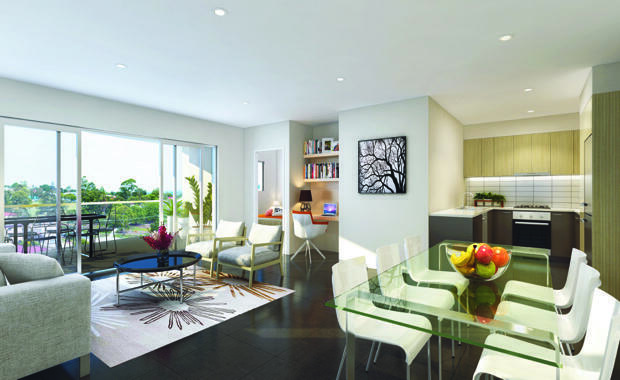 “Our designs already had a strong focus on long-term living, but we wanted to take this further by allowing buyers greater levels of customisation with their apartments and our time frame allowed for this," OpenCorp Director Allister Lewison said. Mark Paterson purchased a three-bedroom penthouse at OpenCorp’s Evolve earlier this year for his wife and children. “We wanted to downsize, be closer to the city and live in a spacious apartment that would get great city views; Evolve ticked all the boxes," he said. Mark and OpenCorp worked closely to customise the already luxurious three-bedroom penthouse to best suit his family’s needs, with changes made throughout the whole apartment. “We really wanted to enjoy the fantastic views from our apartment and integrate the indoor and outdoor living space, so we upgraded to a bi-folding door on the main balcony,” Mr Paterson said. Other changes included converting the walk in wardrobe to a study, upgrading to timber plank tiles, customised lighting and switching and a highly customised kitchen and cabinetry. “The customisations we have made to our penthouse will make the transition from family home to apartment seamless, we look forward to moving in over the next few weeks,” Mr Paterson said. Evolve is one of three OpenCorp projects currently under construction in Brisbane, with three projects already completed the company's total investment in the Brisbane market is over $300 million. Lewison said he takes great enjoyment in being able to offer greater levels of customisation than typically offered in off-the-plan purchases when the time frame allows. "The process of working with the buyer and making small adjustments to deliver a favourable outcome is a unique opportunity as developers,” he said.